it’s always a good time for something lighthearted & fu n. we have several of pink martini’s cds, but this is the only concert recording that i have of them, recorded & shared on dime by ‘zzzaccount’. it’s only recorded on an iphone 5, but the sound is surprisingly good, and it sounds as if there was a lot of energy that night! lets get this uploaded and go have a glass of wine! it was a real delight… a passionate performance with an outstanding sound. 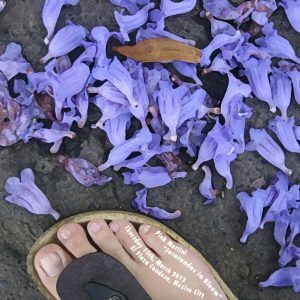 perfect to complement the beauty of mexico city at this time of the year with the thousands of jacarandas in bloom that adorn the city embellishing the dull & suffocating concrete with tiny violet flowers. … of course it would have been nice to have an edirol or a zoom to record it… but the iphone was the only device handy… & i don’t have an edirol nor a zoom either.